25 Points As close to a harem ending as this gets. 25 Points Must be a great voice. 50 Points Drunk on Love. 50 Points Cocktail made with love. Brown Tranquility 50 Points Calm, serene love. Cafe Orange 50 Points Love in a cafe. Indigo Nothings 50 Points Love is blue? Red Runner 50 Points You must love puns. Yellow Pages 50 Points In Love. With Books. Button Nose 25 Points Secret Medal: Unlock this medal to view its details! A Cure For Humanism 10 Points Secret Medal: Unlock this medal to view its details! Everybody Dance, We're On Fire 10 Points Secret Medal: Unlock this medal to view its details! These Grannies Are Makin' Me Thirsty 10 Points Secret Medal: Unlock this medal to view its details! 5 Points Escape the demons from the Dark Abyss through the Temple of Light. Dungeons: A Chilling Acquaintance 5 Points Defeat Frigus the Frost Demon in the Snow Plains of Midnight Mountain. Dungeons: Bullseye! 5 Points Kill a Venomous Mossbiter in the Moonlight Monastery with Napalm Strike. Dungeons: Dance for the Queen 5 Points Defeat Noxxara after letting her feed from her Royal Nutrition Storage. Dungeons: Good Shepherd 5 Points Lead all Fliffies at the Cursed Farm into their pen, before the first lightning strikes. Dungeons: Knock on Wood 5 Points Defeat Terechia without jinxing or getting jinxed by another member of your group. Dungeons: Pacifist 5 Points During any number of encounters, use Potions of Redemption on a Shooey, a Shoo, and a Vile Spirit before you defeat Casper. Dungeons: The Abandoned Burrow 5 Points Defeat Zandra the Venomous. Dungeons: The East Caves 5 Points Defeat Zhaakan at the bottom of the East Caves. Dungeons: The Forlorn Manor 5 Points Defeat the bosses in the Forlorn Manor at the Snow Plains of Elyssia. Dungeons: Tunnel Vision 5 Points Defeat Baldarr the Cruel without defeating any of his Lesser Bodyguards. Dungeons: Weathermaker 5 Points Dissipate two Unstable Energy Clouds within 10 seconds. General: 25 World Events 5 Points Complete 25 distinct world events. General: Down to Earth 5 Points Force a Shimmerleaf Lizard from the top of the Argan Jungle canopy to the jungle thicket. General: Ghostbuster 5 Points Defeat the Shooeys outside Thomas' chapel. General: Helping Paw 5 Points Complete ten distinct world events. General: Level 10 5 Points Reach Level 10. General: Protector of the Bluebells 5 Points Protect five Baby Bluebells from aggressive gnats that attack them. Professions: Apprentice Alchemist 5 Points Learn five different alchemy recipes, and practice the art of alchemy by creating twenty potions. Professions: Apprentice Biologist 5 Points Analyse 50 distinct monsters. PvP: 25 Knock-Outs 5 Points Knock out 25 players in team or guild battles. PvP: Capture the Flag 5 Points Personally assault and capture the flag in Elyssia Ridge. PvP: Get Off Ma Keep 5 Points Defeat five of these pesky youngsters who try to attack during your defence, without losing your castle. PvP: No Contest 5 Points Defeat the opposing general in the Battle for Schwartzwald Castle. PvP: Saliko Outlands Victory 5 Points Win the battle in Saliko Outlands. PvP: Victory at Elyssia Ridge 5 Points Win the battle for Elyssia Ridge! PvP: Victory in Brightheart 5 Points Prevail in the Raid of Brightheart. Quests: 25 Quests 5 Points Complete 25 quests. Quests: 50 Quests 5 Points Complete 50 quests. Quests: 400 Quests 5 Points Complete 400 quests. Quests: A Bluebell Of Your Own 5 Points Obtain a Baby Bluebell pet by completing the 'Sharing is Caring' quest line. Quests: Ashaya Arena Champion 5 Points Defeat all challengers in the Arena of Ashaya Village. Quests: Assaulted? Who? 5 Points Fend off the assault in 'Treasure Hunt' in thirty seconds or less. Quests: Didn't Stand a Chance 5 Points Defeat every ambusher during 'Treasure Hunt', without allowing them to retreat. Quests: Perfectly Matched 5 Points Help Rina escape the snow pit before Ronn leaves to look for her. Quests: Scaredy Cat 5 Points Make Rina climb up the tree, after she says that she would never do that again. Quests: To the Rescue! 5 Points Rescue Sophie from the Deep Mines. Dungeons: Friendly Fire 10 Points Defeat Sakkara in the Snow Plains of Midnight Mountain without killing any of Alexandra's possessed bats. Dungeons: Green Thumb 10 Points Destroy ten sickly mushrooms before defeating the Sporebark Watcher in the cultist prison. Dungeons: Hallow's End 10 Points Summon and defeat Darneus in the Cursed Farm. Dungeons: High Voltage 10 Points Obtain three stacks of Empowered from the Lightning Spirits in the Snow Plains of Midnight Mountain. Dungeons: Ice Ice Baby 10 Points Engage and defeat Frigus the Frost Demon without destroying any of its ice statues. Dungeons: It's Not Easy Being Green 10 Points Defeat Ragefang in the Twigmoss Burrow without using any of the Ruby Protector Spiders. Dungeons: On The Rocks 10 Points Defeat Ichas in 'White Hot' difficulty or higher. Dungeons: One Moment in Time 10 Points Race destiny, and save Alexandra from Sakkara in the Battle for Ashaya Village. Dungeons: Spirits at Large 10 Points Rescue Sasha from the Cultist Prison in the Deep Argan Jungle. Dungeons: The Cursed Farm 10 Points Defeat the bosses haunting the Cursed Farm of Saliko. Dungeons: The Hollow Tree 10 Points Defeat all bosses inhabiting the Hollow Tree. Dungeons: Through Fire and Flames 10 Points Defeat Casper (Hard) during the 'A Spirited Performance' quest. Dungeons: Together We Stand 10 Points Clear any major dungeons with 50 different adventurers. Dungeons: Twigmoss Troubles 10 Points Defeat Ragefang in the Twigmoss Burrow. Dungeons: Won't Break My Bones 10 Points Defeat Stix in 'Spicy Hot' difficulty or higher. General: Emerald Dash 10 Points Defeat an Emeraldscale Lizard. General: Level 20 10 Points Reach Level 20. General: Too Coal to Stay Clean 10 Points Show up at Tanja's café with three stacks of Coal Dust. Now We're Cooking! 10 Points Perfect your cooking skills by learning fiften different recipes, and preparing 150 meals. Professions: Junior Spelunker 10 Points Find a Jade Chest at the bottom of the Everchange Caverns. PvP: 50 Knock-Outs 10 Points Knock out 50 players in team or guild battles. PvP: Damage Control 10 Points In a single battle for Schwartzwald Castle, deal 50,000 or more in damage or healing before the battle ends. PvP: Outlands Conquerer 10 Points Capture five bases in a single Saliko Outlands match. Quests: 100 Quests 10 Points Complete 100 quests. Quests: 200 Quests 10 Points Complete 200 quests. Quests: An Explorer Worth Their Salt 10 Points Recover a chunk of Mineral Salt from the Silt Cave at the Great Abyss. Quests: Temple of Trials 10 Points Defeat the challenges at the Temple of Trials up to and including the Test of the Ancients in solo mode. Dungeons: Attuned to Nature 25 Points Save the Injured Forest Spirit near Terechia in the Moonlight Monastery. Dungeons: Classic Dungeon Master 25 Points Obtain all of the classic dungeon trophies. Dungeons: Karma Bites 25 Points Defeat Darneus while he is affected by at least two stacks of Infectious Bite. Dungeons: Minutes to Midnight 25 Points Seal the Shadow Rift at the monastery summit without being affected by Lunar Empowerment. Dungeons: Shooting Stars 25 Points Save the Repair Unit D-247 after recovering the three access sigils in the Moonlight Monastery. Dungeons: Snow Plains Dungeon Master 25 Points Obtain all of the Snow Plains dungeon trophies. Dungeons: The Battle for Ashaya Village 25 Points Defeat all the bosses besieging Ashaya in the Battle for Ashaya Village. Dungeons: The Spirits That I've Cited ... 25 Points Defeat Gorath while he is affected by Dark Empowerment from the cultist offerings. Dungeons: Twigmoss Ace 25 Points Clear the Monastery Garden up to and including Goldsnare without losing or abandoning any spiders. General: Level 30 25 Points Reach Level 30. Professions: Professional Spelunker 25 Points Find a Ruby Chest at the bottom of the Tunnels of Illusion in Argan Jungle. 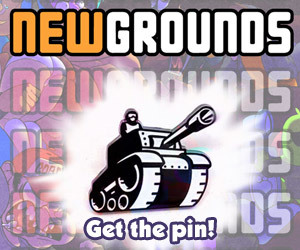 PvP: 100 Knock-Outs 25 Points Knock out 100 players in team or guild battles. PvP: The Grim Reaper 25 Points Knock out 15 players in team or guild battles without getting knocked out yourself. Quests: 300 Quests 25 Points Complete 300 quests. Dungeons: Party Tiger 50 Points Clear any major dungeons with 200 different adventurers. Dungeons: The Moonlight Monastery 50 Points Defeat all bosses inhabiting the Moonlight Monastery. General: Boss Hunter 50 Points Be declared the 'most valuable player' when defeating the eight world bosses in Saliko, Elyssia and the Southern Seas. Dungeons: Argan Dungeon Master 100 Points Obtain all Argan Jungle dungeon trophies. PokeCup Ace 25 Points Secret Medal: Unlock this medal to view its details! GreatCup Ace 50 Points Secret Medal: Unlock this medal to view its details! Rocket Grunt? 50 Points Secret Medal: Unlock this medal to view its details! UltraCup Ace 100 Points Secret Medal: Unlock this medal to view its details!